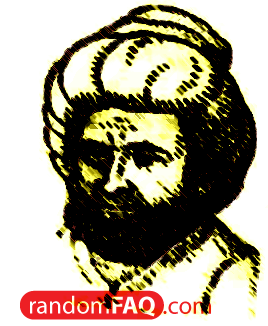 Abu Ja'far Muhammad ibn Musa Al-Khwarizmi brought us the first book on algebra, called "Hisab al-jabr w'al-muqabala" (The Book of Cancelation and Restoration). The origins of sciences and mathematics stem from the Ancient Greek world. When Europe fell into dark and middle ages, crucial thought from Greece was preserved in the Islamic world (Dar al-Islam). It made it's way into Europe when Spain was part of the Dar al-Islam as well as through the Ottoman Turks of Asia Minor. This also explains why the numbers we use today are most similar to Arabic numerals.